A year or two ago, you knew Google had entered the zeitgeist of journalists when they began writing articles about new topic X with sentences like “Googling the word X brings up Y thousand entries.” It was duly noted as Google journalism. JAKARTA, Indonesia – The closest most people will ever get to remote Papua, or the operations of Freeport-McMoRan, is a computer tour using Google Earth to swoop down over the rain forests and glacier-capped mountains where the American company mines the world’s largest gold reserve. 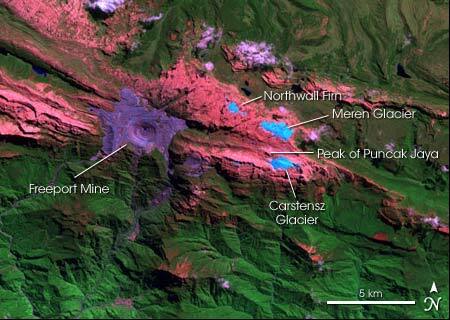 The contaminated river of tailings is visible in Google Earth, here, but the mine itself is obscured by cloud cover. However, a Google Earth Community contributor has found an amazing overlay. The size of this mine is incredible — it looks like a giant manmade pockmark on the earth. It is well worth staring at for a while. Although images of the White House and its environs are now clear in the Google Earth database, the view of the vice president’s residence in Washington remains obscured. 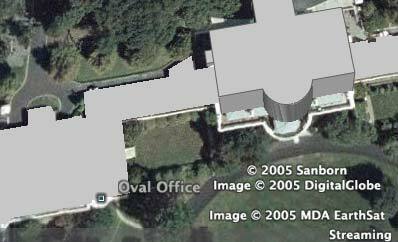 The Veep’s residence is the only blurred bit that I’ve encountered of late in Google Earth. There are likely more concealed bits on US military bases, but in the past, clamour enough and Google refreshes the database with clear views at the next update — case in point is Area 51. One likely explanation is that these images are blurred by vendors and US authorities by default, to err on the side of caution, but that the blurring is removed on request, because USGS guidelines state that public availability anywhere of high resolution aerial imagery of a place is sufficient cause for everyone being allowed to provide such high-resolution images to the public. So where does that leave us? I have one comment on Maureen Dowd’s piece, and one remaining correction for the New York Times article. Re Dowd: She ascribes the blurriness of Cheney’s residence to a wider penchant by Cheney for secrecy. That’s a conspiracy theory which does not have much going for it by way of actual evidence. I’d be much more impressed if there were some kind of assertion bolstered by evidence that Cheney himself decreed that US satellite operators may not unblur his residence, even while the White House was given the green light for a full-resolution view. More likely is that nobody requested that Observatory Circle be unblurred last time there was a brouhaha regarding the obfuscated White House (upon which the next update saw the White House imagery upgraded). It was likely just an oversight, then — literally (ha!). 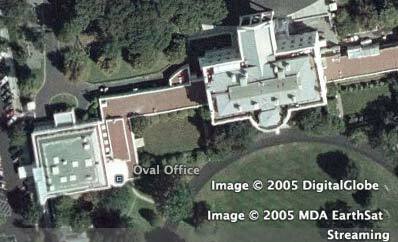 For a brief period, photos of the White House and adjacent buildings that the United States Geological Survey provided to Google Earth showed up with certain details obscured, because the government had decided that showing details like rooftop helicopter landing pads was a security risk. Google has since replaced those images with unaltered photographs of the area taken by Sanborn, a mapping and imagery company, further illustrating the difficulty of trying to control such information. The problem is that I don’t think it is Sanborn which provides the current imagery of the White House. I think Sanborn just provides the 3D building models for Washington DC (which it indeed does sell). Why do I think this? Because without buildings turned on, Sanborn’s credits do not appear, though the White House is there in all its full-resolution glory. With buildings turned on, Sanborn’s credits appear. Unless this is an error in Google Earth’s crediting, I think it is MDA Earthsat and Digital Globe that continue to provide the imagery of the area, but that they have now received clearance to sell full-resolution images. One other reason why Sanborn is not the likely source for the resolution upgrade of the White House is that it, too, is an American “private remote sensing operator” (albeit an aerial one), so Google merely switching vendors from one US company to another US company would not be sufficient to overcome US government restrictions, should those have continued to be in force. More likely, Google argued successfully that the rooftops of the White House (and Congress) are not plausibly a state secret any more, and that hence they should be visible, as per the guidelines. Did Google Earth Violate US Law? asks WebProNews’s David Utter in an article that builds uncritically on the Israel National News article, which in turn got its mangled facts from the Globes article blogged previously. How is this latest article in error? Let us count the ways. 1) Google has not limited the resolution of its images of Israel (see here for more). 2) Images of Israel will not “be reduced to two-meter resolution,” the main reason being that the resolution of Israel in Google Earth and Maps is currently actually much lower than two-meter resolution. 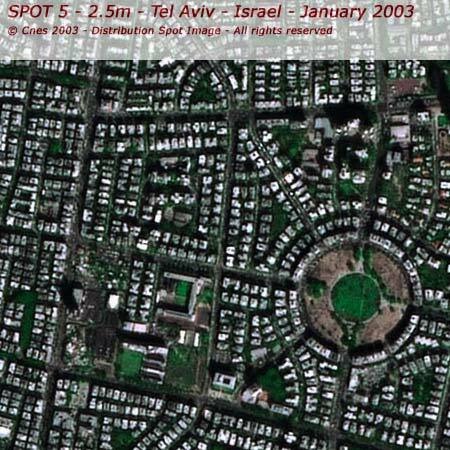 Getting two-meter resolution imagery of Israel would require a vast upgrade of Google’s offerings in the region. 3) In other words, it is absurd to write something like “If those images were not at two-meter resolution already, Google may have been in violation of federal law.” But that is what reporters who rewrite stories from a single source without checking their facts are indeed capable of writing. 4) Another reason why Google cannot be in violation of the US law in question is because Google is not an American “private remote sensing operator”, i.e. a US satellite operator, but a purchaser of data from such operators. US law only restricts US satellite operators. Google is free to purchase publicly available data from any vendor anywhere, and at any resolution. Google Earth and Israel, cont. If you want proof of the harm irresponsible reporting can do, look no further than how the factual errors in the article in Globes about Israel and Google Earth (blogged two days ago) have metastatized into the belief that “Google Earth caves in to Israel”. Yes, the blog Battleangel takes [(updated) the mangled IsraelNN version of the article] at face value, adds a pinch of presuppositions, and arrives at that conclusion. So, for the record, Israel isn’t strongarming Google, from the available evidence. Yes, it is indeed remarkable that a US law constrains US satellite operators on images of a sovereign state other than the US (and not for all US allies, but just one state), but if you want to complain, the proper target is the US congress and the executive, not Google. If you want to accuse Google of being strongarmed by a state when it comes to satellite imagery (be it China, India, South Korea, or Israel), kindly provide some evidence first. 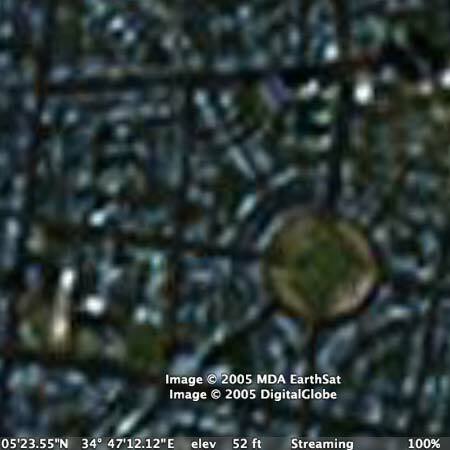 All Points Blog links to an article by Globes, an Israeli business news site, that purports to explain why the satellite imagery available in Google Earth is of relatively low resolution in Israel. The article gets some things right, but manages to miss the point spectacularly elsewhere. It’s worth checking paragraph by paragraph. In the International Herald Tribune today, John Markoff explains the Web 2.0 and APIs to the mainstream reader, but also delves into possible revenue models for Google Maps and Google Earth. Microsoft also plans to make use of satellite data, but its interface will be based on a Web browser, not separately downloaded software like Google Earth. In contrast, Yahoo executives said they were skeptical about the value of satellite imagery, and the company is focusing instead on digital maps. Yahoo is hoping that Web users will emerge to overlay its maps with restaurant reviews and other kinds of contributions. If that is the case, I’m afraid Microsoft and Yahoo are going to find they didn’t aim high enough. But let’s wait and see. The Wall Street Journal’s Tim Hanrahan and Jason Fry have a go at Google Earth, and do find more of a future for it than Walt Mossberg did a week ago. “After mulling it over, we think there will be a business here — eventually,” they write, though they feel the application won’t really get off the ground until it moves to cell phones and PDAs. This is a strange thing to think, as there are plenty of applications, for example web browsers and the Google search service itself, that became wildly popular before they became mobile and minute. And while there certainly is a future in Google Earth for advertising dollars, the article does not recognize why Google Earth (and Google Maps) is a disruptive technology: It uses open standards, not proprietary ones, and it encourages user contributions and hacking by making its APIs and XML accessible. Google Earth will be a runaway success because it will make itself useful to users in ways that Google itself does not try to fathom, though Google will control the ability to advertise on the results of this user creativity. That’s very clever.